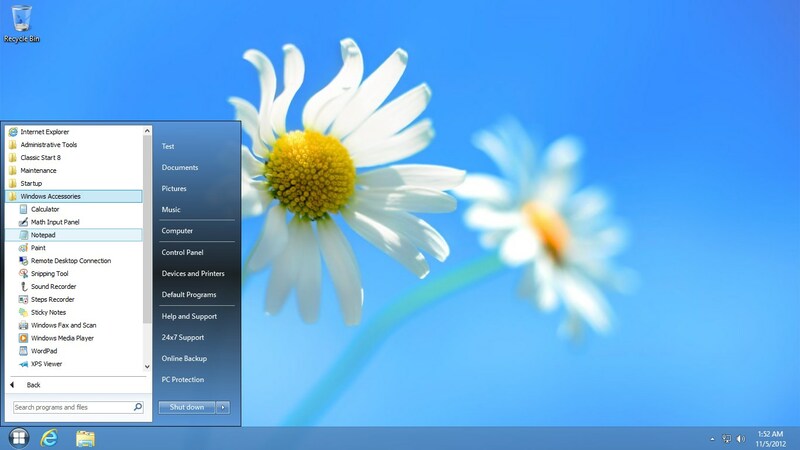 Classic Start 8 provides traditional Microsoft Windows 7 start menu styling for the Windows 8 user interface. This free software application keeps the familiar form and function of Windows 7 by placing a classic style start button in its traditional place along with access to all programs, pinning options, search features and shut down choices. Outstanding! Just like the original. One other I tried made the taskbar too fat because the icon was too large. This one left my taskbar nice and thin. Good work!